Excellent quality at an affordable price. These crystals are best for subtle shine. 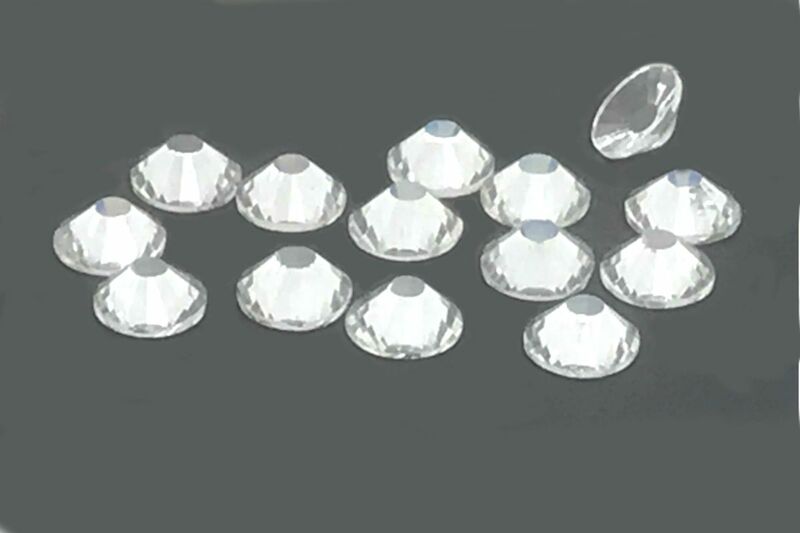 These rhinestones have no foil and are transparent. So they will show the colour underneath. They can be used in a number of projects such as embellishing clothes, costumes, bags, shoes, dresses, cards, wedding invitations, personal items such as mobile phones, laptops and anything that you could imagine. Just apply own glue and stick them to any surface.